Flowers are used to celebrate life's special moments. They are given to commemorate friendships, show appreciation, show love and sometimes just because. Now you can celebrate those moments with a flower that is always in bloom. 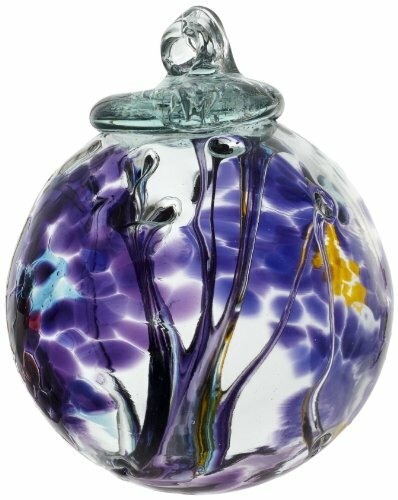 Memories- This blossom will flower forever, may it remind you of all the memories that have been shared. Inspired by nature these enchanted tree ornaments inspire and add beauty to any surrounding. Tree of Summer The vibrant shades of summer are enhanced by the sunlight to create a dazzling festival of life. Celebrate the energy of summer with these beautiful colors and let your senses rejoice. "Look too closely and you may just fall into your own fairy tale." Inspired by nature these enchanted tree ornaments inspire and add beauty to any surrounding. Tree of Healing Just as it takes time for a tree that's lost its leaves to rest over the winter and regenerate to its springtime glory, it takes time for us to heal from pain whether it's cause be physical or emotional. The Tree of Healing reminds us to take time for ourselves, to gather strength from friends and family, and to not lose hope that we will once again be whole and well. Excellence is more than success. It is a characteristic that motivates us to always strive to do our best. A tree reaches its full potential when it grows high and is prosperous, though it may not always be easy it continues to strive. Just like a tree we can strive to reach our full potential by adopting an attitude of excellence. This is a brilliantly colored Tree Of Enchantment,with vivid hues of colors that sunlight, or any light, reflects from in gorgeous patterns. 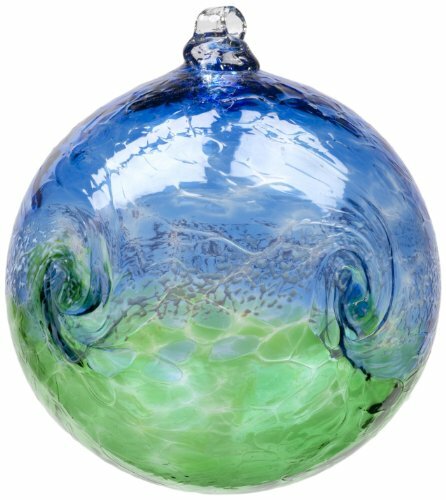 Crafted by artisans in Canada, these are hand blown art glass spheres and may be hung outdoors in trees or under eaves, or inside by your windows, wherever the sun can catch the vivid colors of the balls. Like trees in a forest, no two are the same, and each is a symbol of growth, strength, and the cycle of life. As the seasons change, so does nature's palette. 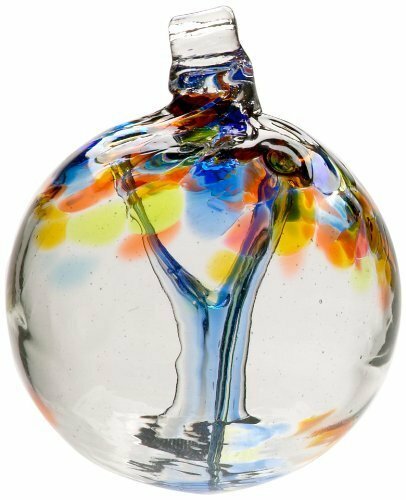 These hand blown art glass balls are made up of a beautiful mix of colors, and each one is unique and unlike any other in its combination of colors and patterns. The photos are just an illustration of one combination. 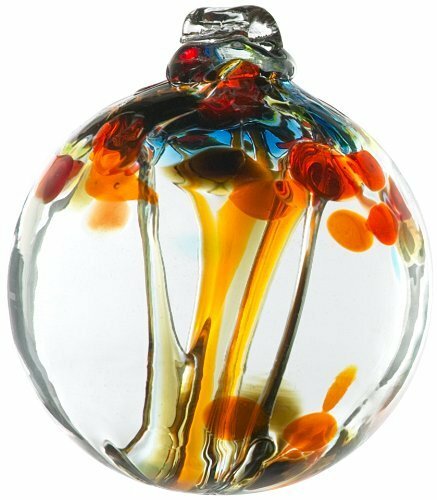 These balls may vary a bit in size, with a diameter of approximately 2-1/2 to 2-3/4 inches. 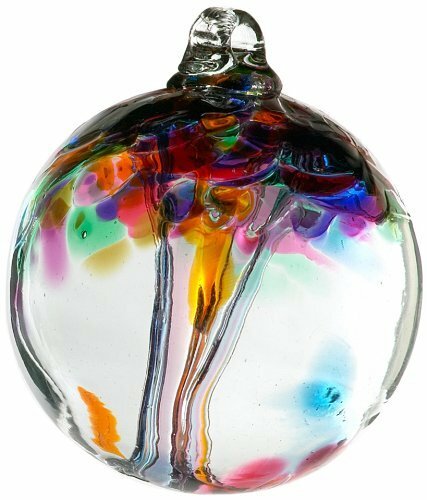 Inspired by nature these enchanted tree ornaments inspire and add beauty to any surrounding. Tree of Spring The velvety greens of Spring conjure images of the sparkling dew droplets on a newly blossomed garden. Let these fresh colors entice your spirit to awaken. "Look too closely and you may just fall into your own fairy tale." 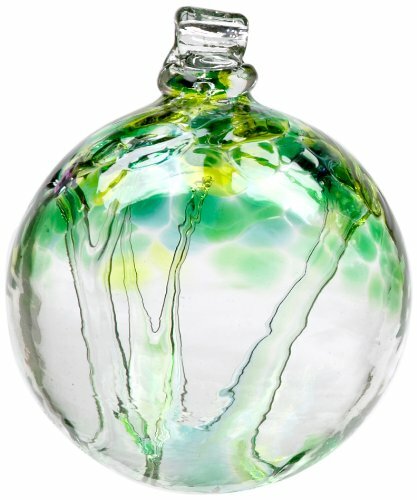 Inspired by nature these enchanted tree ornaments inspire and add beauty to any surrounding. Tree of Friendship Like each leaf on a tree, our life is blessed with friends who help to define us as the individuals we are. Similarly, the changes of season that a tree undergoes is like the circle of friends that we've met throughout our lives from our school day chums to more mature relationships. The Tree of Friendship reminds us to cherish each of our friends, the old and the new and ensure that these important bonds are never broken or forgotten. 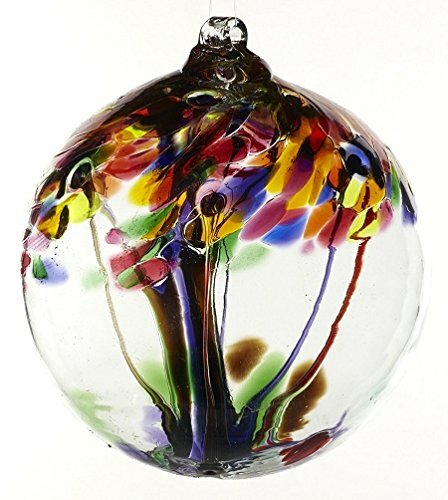 Looking for more Kitras Glass Tree similar ideas? Try to explore these searches: Lined Triangle Bra, Motherhood Maternity T-Shirt, and Citrus Pectin 16 Oz Powder. 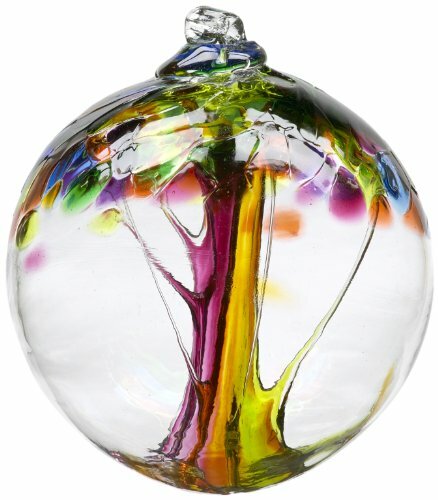 Look at latest related video about Kitras Glass Tree. Shopwizion.com is the smartest way for online shopping: compare prices of leading online shops for best deals around the web. 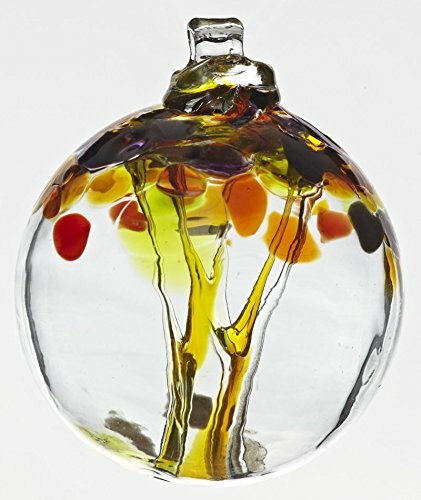 Don't miss TOP Kitras Glass Tree deals, updated daily.